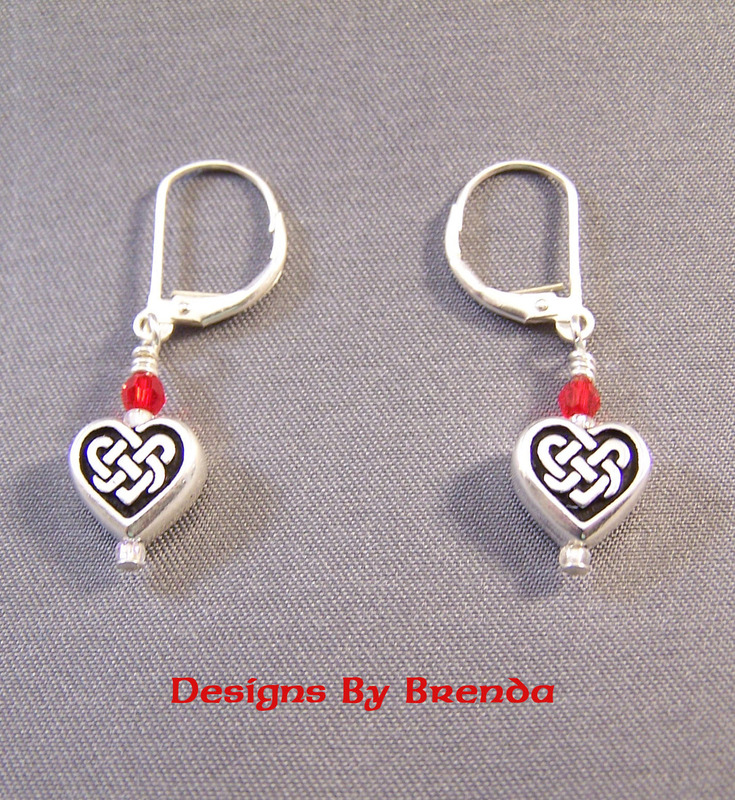 Dainty Celtic Heart shaped silver plated beads are accented by small round red faceted Swarovski Crystals and a tiny clear seed bead at the bottom. This is a sweet pair of Sterling Silver Leverback Earrings for any aged Celtic lass. The drop is 3/4" from the bottom of the ear wire.